Are you a practicing artist working in the visual or performing arts? Mountain Seas is offering Artist in Residency opportunities at their Flinders Island property, nestled between the mountains and the sea. Spend up to six weeks in nature's raw beauty, expressing through your chosen artistic medium. Imagine stunning scenery with easy access to rugged wilderness, a well-equipped Arts Centre, and a cozy comfortable place to live. The Program is open to all types of artists including, but not limited to, painters, ceramicists, sculptors, writers, musicians, digital and mixed media artists. A residency allows the artist to experience the character of a place in great depth, inspiring a diverse range of rich and vibrant artistic interpretation. The act of art enhances the artist, the community as well as what the artist perceives. Residency at Mountain Seas is available from March through December. We encourage a minimum of 2 weeks stay, however your length of stay can vary from one week (minimum) up to 5 weeks (maximum). Residency Rental fee is $200/week. 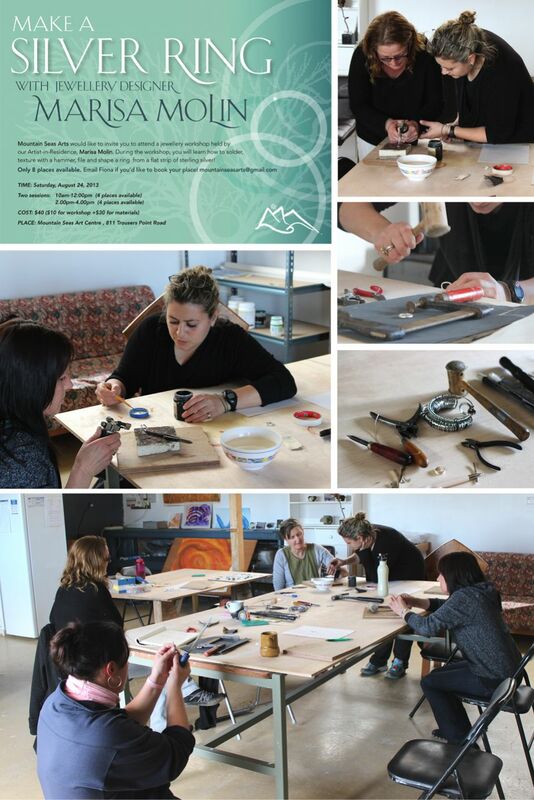 APPLY: Interested artists are invited to apply for the Mountain Seas Artist in Residency by filling out the application form and returning via post to: Mountain Seas Arts, PO BOX 125, Flinders Island, Tasmania, Australia. 7255. 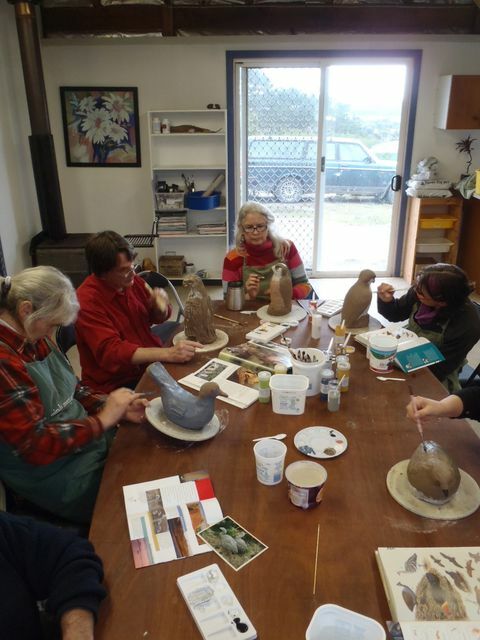 Rachel Jones (above) throwing a bowl at the 'Play with Clay Workshop' by Lila Tresemer. "The Mountain Seas Arts Community is a welcome oasis from the busyness and consumption of city life. Leaving the mainland behind to spend a month on Flinders Island in the Bass Strait as the Mountain Seas artist-in-residence was one of the best things I've ever done. I found that I was happier and more relaxed on the island than I'd been for years. I had everything I needed and was very comfortable. I was so well looked after by everyone on the property and the community as a whole. 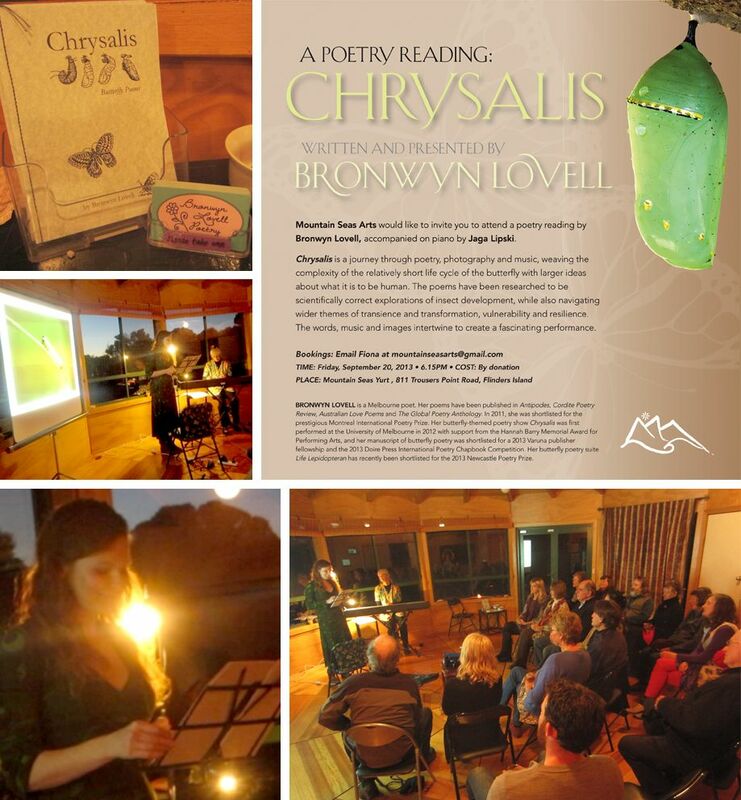 I was moved by the generosity and genuine nature of the locals, and by how warmly they received my poetry when I performed my butterfly show for them in Ta Meri's magical yurt at the foot of the stunning Strzelecki mountain peaks. The scenery was spectacular and the wildlife was gorgeous. The fresh air cleared my mind and calmed my soul. I wholeheartedly recommend the Mountain Seas experience--everything about it inspires and renews. I absolutely loved my time there and I hope to return one day soon."